The Rolling Stones have certainly had their ups and downs. On the eve of one the band’s first and some would say biggest changes-architect Brian Jones’s firing-guitarist Mick Taylor was asked to replace Jones. Transitioning from the anti-Beatles ‘dirty’ rock group into a world-wide concert draw the very year Taylor joined them-1969-this DVD makes a strong point for how important Mick Taylor’s five year contribution was for the greatest rock and roll band in the world. 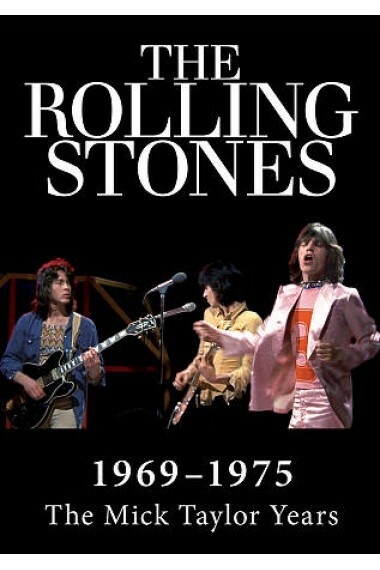 Filled with some great concert footage (especially clips from the Stone’s free Hyde Park concert, what became their tribute to Jones who drowned in his swimming pool not more then a few days before Mick Taylor’s first appearance with the band) we also get some serious analysis of the Stones’ music by rock critics (The Village Voice’s Robert Christgau among them) musicians (Taylor’s ex boss John Mayall) and rock writers, all of whom either worked with or knew the Stones during the half decade featured here. We learn how much Taylor really contributed to albums like Sticky Fingers and Goat Heads Soup but most notably what many consider the Rolling Stone’s masterpiece Exile On Main Street. Through it all, Taylor’s playing was most adapt, his songwriting mature, and more than Ron Wood who would come to replace him when he quit, Keith Richards and even Brian Jones, probably the best musician ever to be called a Stone, we learn how Taylor was the best guitar player the Stones ever had.